ILLINOIS (KFVS) - The Illinois Department of Transportation shared photos of flooding in southern Illinois. On Monday, March 18, the Division of Aeronautics photographed areas along the Mississippi and Ohio Rivers. They include the city of Cairo, Gale, Miller City, Gulfport and Barstow in Illinois. the photos also show nearby tributaries. IDOT posted the photos on its Facebook page. 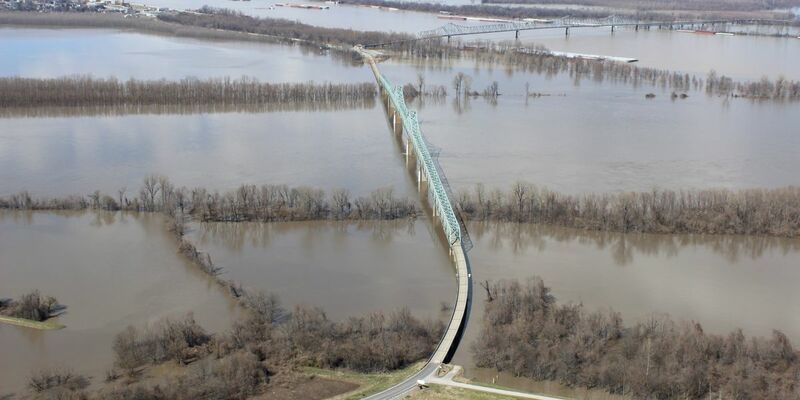 The National Weather Service in Paducah has a conditional map which shows that during the weeks from April 8 through May 5 have more than a 25 percent chance of seeing a major flood in the area of Chester, Illinois, a town just up river from Cape Girardeau, Mo.